The dog days of summer call for something frosty, creamy and nostalgic. 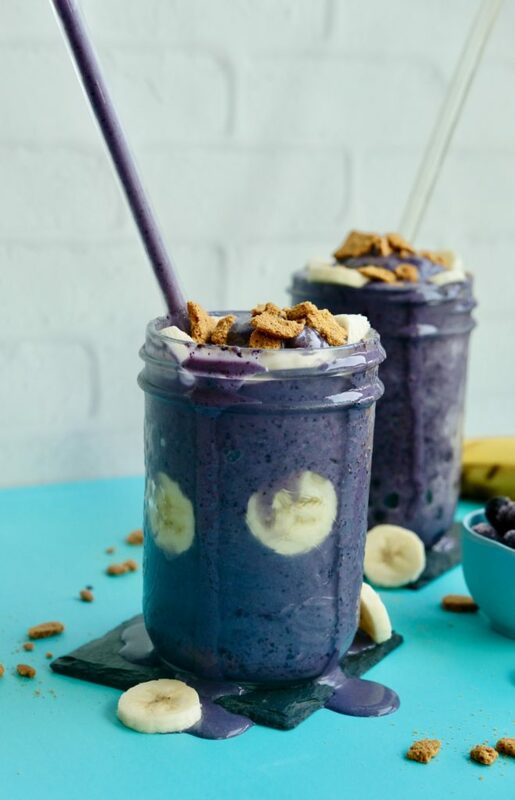 This vanilla blueberry banana coconut cream milkshake is the answer…always. 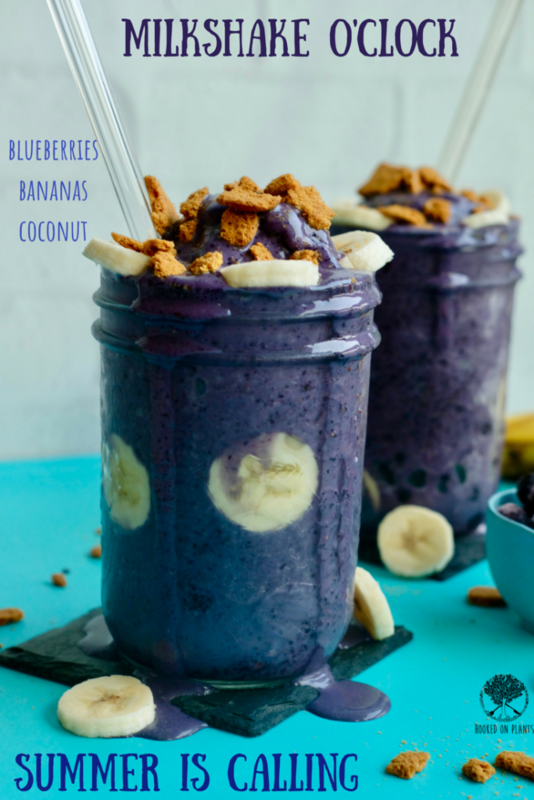 Creaminess, frostiness & blueberries…something magical happens when these 3 collide. 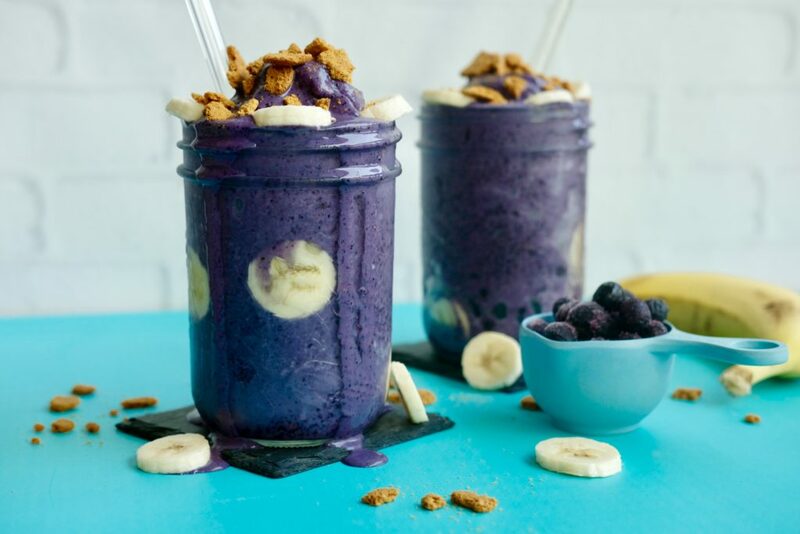 The blueberries become much more than the usual blueberry you’d expect. It reminds me of getting blueberry milkshakes as a kid at the Hornby Island bakery. They came as a massive glass filled with a blue galaxy of creaminess. It was packed with dairy though, so this one is infinite galaxies better. The amazing taste and mouth feel is still all there. Here we have a dairy-free version with all the thickness, creamy goodness and decadence that I remember. On a hot summers day, there’s nothing better than a slow sip-full of this masterpiece. It’s ridiculously easy to make. 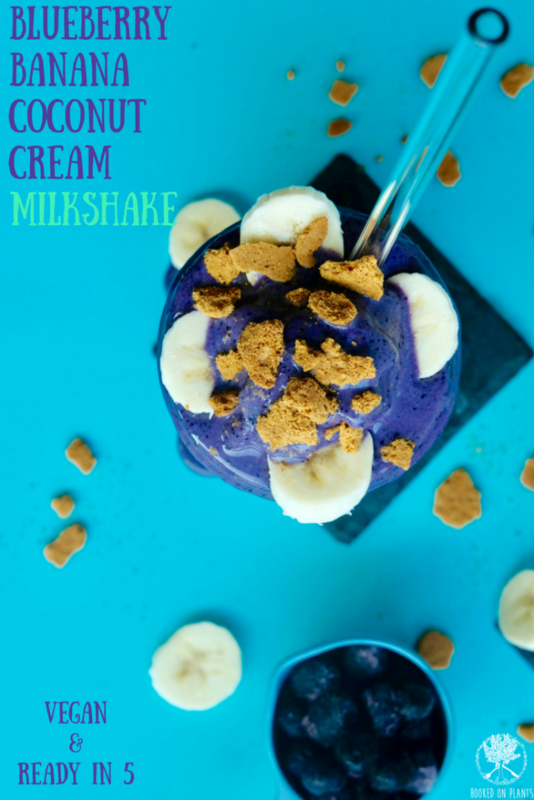 It’s blueberry banana coconut cream milkshake heaven with a touch of vanilla deliciousness. Top it off with some cookie crumbles (I used Anna’s Ginger Snaps), extra fruit … or maybe some coco whip from this pumpkin cheezecake recipe?! (Drooling as I write this). You can order 10lb frozen boxes from JD Hare directly through email: haresfarm1993@gmail.com or find his blueberries at the Whistler Farmer’s Market! 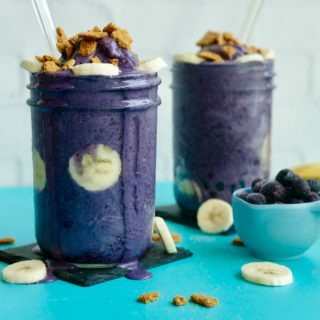 Blend all mylkshake ingredients together in your blender. Start with just 2 cups of milk, then keep adding until you have the consistency that will slowly move through your straw. 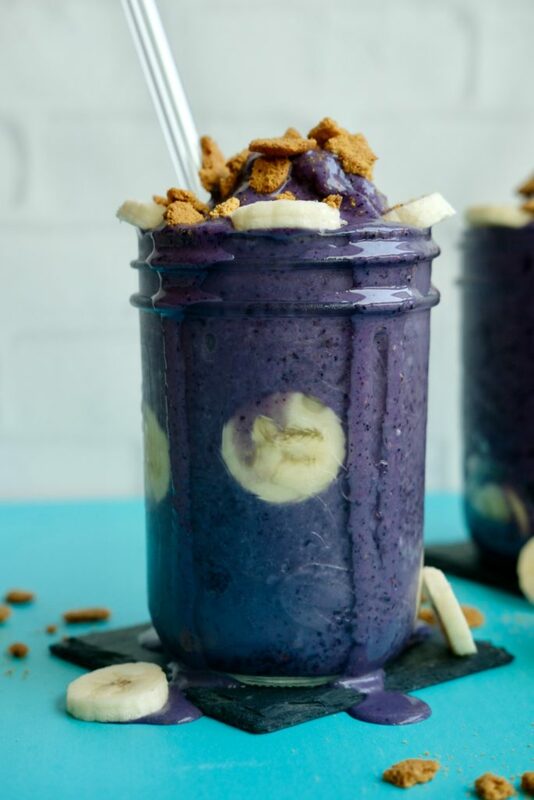 Pour into your favourite jar, and top it off with your choice of toppings.